As March draws to a close (with various amounts of snow, depending on where you are), here are a few items that might interest. Tonight’s episode of NBC’s genealogy-themed show “Who Do You Think You Are?” includes a visit to the Pennsylvania State Archives. Archivist Aaron McWilliams meets with award-winning actor Steve Buscemi to help him research one of his ancestors. (Please forgive me, but I can’t help thinking of wood chippers—Fargo is one of my favorite Buscemi movies.) I liked one of the comments I saw on NBC’s website from a man who said he’d learned a lot about researching his own family’s history by watching this show. Even as more and more genealogy sources are available online, we still need repositories and archivists. I like that this show takes the celebs (and viewers) to see the real stuff. The Anthracite Heritage Museum has reopened to the public, following a two-month hiatus. A major project to overhaul the heating, ventilation, and air conditioning systems meant that it was best for visitors if the museum closed. But now, things are in shape to open the doors again. Starting in April, the museum will be open 7 days a week. A talk by Michael Emery on Pennsylvania German architecture this Sunday, March 27, will conclude Landis Valley Village and Farm Museum’s (free) March lecture series. Landis Valley has also just launched its new cell phone tours, joining other PHMC sites that use hand-held technology to help visitors learn more about the things that interest them. We’ve mentioned before that the Ephrata Cloister Associates recently received a Nonprofit Innovation award from the Central Penn Business Journal—here’s photographic proof. We take our history seriously on the Trails of History, but it doesn’t mean we don’t enjoy ourselves. Take a peek at the staff of the Railroad Museum of Pennsylvania during a recent commercial shoot for the Pennsylvania Dutch Convention and Visitors Bureau. Thanks to PDCVB for the photos. Yesterday was Picture a Museum Day—go here to see photos from museums around the world. I have found that the Facebook pages of sites on the Pennsylvania Trails of History can be great sources of information on stuff I’d otherwise not know about. Of course, they post updates on programs and exhibits, but it’s the other news that makes these pages a treasure trove. The Anthracite Heritage Museum started a routine of “museum fact Mondays” where they post items of interest in regional history or coal mining history in general. Currently they also have a Women’s History Month post going and they used Facebook for behind-the-scenes updates on their HVAC project. And, they’re helping to promote the Coal Miner’s Stamp Initiative, which has also been endorsed by the Pennsylvania legislature. Brandywine Battlefield shares updates on events and fundraising and provides a place for folks with a general interest in the American Revolution to post information. Ephrata Cloister posts a “word of the week” related to the site’s history and architecture and used Facebook to announce that they had received the 2011 Nonprofit Innovation Award for Management Operations from the Central Penn Business Journal. Graeme Park mostly posts updates on upcoming events but they’ve also shared news about digitization projects at institutions that hold manuscript collections related to the site (such as Elizabeth Graeme Fergusson’s commonplace book at Dickinson College). Landis Valley Village and Farm Museum announces programs and lectures and posts tantalizing images of the site in its winter, spring, summer, and fall beauty. They also share some of the news coverage they receive, such as when their upcoming apple tree grafting workshop (March 26) was mentioned in the New York Times. Old Economy Village built interest in their reopening for the season (the site closes to the public during January and February each year), their upcoming Garden Workshop and the fact that Rep. Jason Altmire (D-McCandless) had nominated Old Economy for a National Medal for Museum and Library Service (five libraries and five museums are recognized each year by the Institute of Museum and Library Services—recipients will be announced this fall). Pennsbury Manor enticed fans to come on down for Charter Day by sharing frequent posts and they are currently promoting their summer history camp. Previously, they asked friends to post their memories of visits to Pennsbury and gathered some lovely stories, which of course were shared with the rest of us. 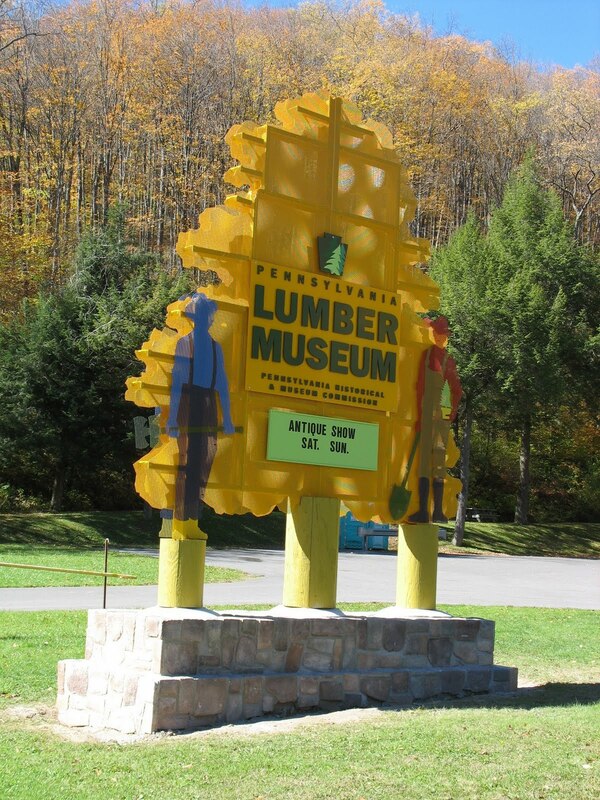 Pennsylvania Lumber Museum posts contemporary and historical photos and has been including coverage of their impending museum expansion project. In a great show of good humor (in my opinion) they posted a request in early February to have their friends push them over the 100 “likes” mark that weekend; Monday’s post said “well, that didn’t work LOL” (they’re almost there, so let’s see if Trailheads can make the difference). The Railroad Museum of Pennsylvania shares posts that provide fans (are we supposed to call them likers now?) with railroad history highlights related to current events or historical anniversaries and the like (currently women in railroading history are the focus). Museum staff also use Facebook to show the progress of various rolling stock restoration projects, such as the Lindbergh engine (more formally known as the 460), or the new geothermal HVAC system installation that is ongoing. Somerset Historical Center posts event updates and follow-ups, such as for their annual Mountain Craft Days festival in September. I’ve noticed that some folks also post genealogy queries on the wall or use the Facebook page as a way to offer their services for craft demonstrations. The State Museum of Pennsylvania used Facebook postings to keep visitors updated on the work to renovate the museum’s Paleontology Galleries and install the Marshalls Creek Mastodon skeleton in its new home (the exhibit reopened at the end of February). Don’t forget that there are Facebook pages for the Pennsylvania Trails of History, Pennsylvania Civil War 150, and the Pennsylvania Heritage Society. If I’ve missed any Trails of History (or related) sites that are on Facebook, please excuse the oversight and leave a comment so I can update my list. Every year (for longer than any of us here can recall), we celebrate Charter Day, which marks the payment of a debt, essentially. In 1681, King Charles II of England gave William Penn a charter for the land that we know as Pennsylvania; it was the king’s way of repaying funds that Penn’s father provided to the Crown (yes, I know this is probably a gross simplification). The original Charter (the first page features an elaborate portrait of the ever-modest monarch) is briefly displayed to the public at The State Museum, usually in the company of other important historical documents (see more info below). The rest of the year the Charter is kept safely tucked away in the State Archives, to preserve it for generations to come. Sites on the Pennsylvania Trails of History (almost all of them) are open to the public free-of-charge on what has become our traditional spring kick-off (unless, as sometimes happens, we get hit with a March snowstorm, but it looks like we’re safe this year). Brandywine Battlefield: Programs (noon to 4 pm) feature 18th-century tavern life and the skills of the blacksmith. Conrad Weiser Homestead: Reenactors from the 1st and 3rd Battalion of the Pennsylvania Regiment and Regiment de la Reine will present a living history program on site from noon to 4 pm. Cornwall Iron Furnace: The museum will be open free of charge for tours from noon to 5 pm (the last tour leaves the visitor center at 4). Daniel Boone Homestead: Spend the afternoon learning about play and work in the 1700s; activities include colonial music and dancing, children’s toys and games, demonstrations of blacksmithing, log hewing, and the Bertolet Sawmill. Drake Well Museum: Sneak a peek inside the new building and enjoy some refreshments from noon to 4 pm. Eckley Miners’ Village: Site open noon to 5 pm free of charge; “The Molly Maguires,” starring Sean Connery and Richard Harris (filmed at Eckley), will be shown in the visitor center auditorium at 2 pm. Ephrata Cloister: Interpreters will be stationed in various buildings at the site, including the Bakery, Weaver’s House, Sister’s House, Physician’s House, Print Shop, and Carpenter’s House. The Ephrata Cloister Chorus will perform in the Saal (Meetinghouse) at 2, 3, and 4 pm. Pages from the recently conserved Christian ABC Book will be on exhibit. Erie Maritime Museum and US Brig Niagara: The museum will be open free of charge from noon to 5 pm. Graeme Park: Join Friends of Graeme Park from noon to 4 pm for an open house and special activities to mark Pennsylvania’s birthday. Joseph Priestley House: Celebrate Charter Day and Dr. Priestley’s Birthday from 1 to 4 pm. Refreshments in the visitor center; costumed guides and new laboratory exhibits in the house; chemistry demonstrations in the Pond Building. Landis Valley Village and Farm Museum: Enjoy skilled craft demonstrations (such as leatherworking, textiles, blacksmithing, open hearth cooking) and wagon rides around the historic grounds. Many of the museum’s historical buildings—the 1900 Country Store, the Landis Brothers House, the 1700s Log Farm—will be open for tours from noon to 5 pm. Old Economy Village: The site reopens for the season this weekend (admission on Saturday is $1) after being closed for the winter; refreshments will be available. 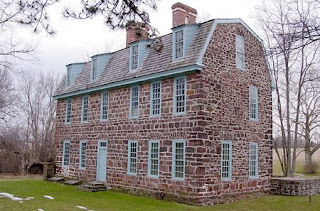 Pennsbury Manor: The site (the American home of William Penn and his family) will be open from 1 to 4 pm, offering tours of the Manor House, as well as demonstrations of joynery, blacksmithing, and open hearth cooking. Tours of the gardens will also be available and interpreters will be stationed with Pennsbury’s animals to explain what their roles were back in the 17th Century. Please bring a non-perishable food item to donate. Pennsylvania Military Museum: The museum reopens after being closed for the winter; hours are noon to 4 pm. Railroad Museum of Pennsylvania: The museum is open free of charge, noon to 5 pm. State Museum of Pennsylvania and Pennsylvania State Archives: The original Charter will be on display from March 11-20, along with the Great Law of 1682 and the Penn family bible with which Gov. Tom Corbett recently took the oath of office. A heritage fair featuring historical organizations from the local region will take place from noon to 4 pm. State winners at the 2010 National History Day in PA contest will be on hand and there will be a storyteller, a lecturer from the Bureau of Forestry, and much more. Washington Crossing Historic Park: The 22nd Regiment of Foot and the 2nd New Jersey Regiment will be encamped at the Crossing, where they will drill, demonstrate 18th-century style military arms, and show the day to day life of a Revolutionary War soldier. I spent most of this week on the road with colleagues working on exhibit plans at the Pennsylvania Military Museum and the Pennsylvania Lumber Museum. Since I didn’t write a Trailheads post ahead of time (which, believe it or not, I sometimes manage to do), that’s what I’m writing about. Our latest two projects in the hopper, as I mentioned above, are at the Military Museum and the Lumber Museum. In both cases, we’ve been planning, discussing, thinking on, obsessing over, and worrying about these exhibits for quite some time, as various funding scenarios lined up. We’re at slightly different stages of work, but rest assured that the staff and volunteers at both museums are ready to get on with it. At Military, we’re continuing to hash out the best ways to organize a century of Pennsylvania military history (or to be more exact, over a century of Pennsylvanians’ military service) and share it with members of the public, who bring a wide range of experience and interest to their museum visit. So the designers are working with us on different possibilities for using the gallery space (called “bubble diagrams”). The design at Lumber is a little further along, so we’re beginning to zero in on defining the exhibit layout and specific elements. But there’s still a lot of work to do deciding how to tell all the stories that need to be told. As we continue moving forward with these and other exhibit projects, I’ll try to share some of the behind-the-scenes work. It’s hard to convey the extraordinary amount of energy and attention these projects require of our staff, but I’ll try.